I can remember the days when I switched to a CFL bulb from an incandescent bulb 13 years back. CFL bulb was not so popular that time and its demand were low. That time Fluorescent tube light was popular and crunching the demand for Incandescent bulb due to its power consumption and lighting brightness. So, after 13 years LED bulb is entering into our homes and offices, replacing so popular CFL bulbs and tubes, because it consumes 40% to 50% less energy than the CFL and lasts much longer than the CFL. By 2014, incandescents will no longer be manufactured in the U.S. So, it’s time to upgrade our lighting system because the cost of electricity is rising. But, there is one disadvantage which may pull you back buying a LED bulb, the price tag. Today a 9W LED bulb equivalent to 15W CFL bulb costs you Rs. 300/- (MRP), while a CFL costs Rs. 150/- (MRP). But, if you compare the LED bulbs efficiency in terms of energy saving, then a 7W LED bulbs efficiency is much more equivalent to a 15W CFL bulb and around 40-50% energy saver and lasts much longer than a CFL (an Eveready White LED Bulb 7 Watt claiming approx 15 Years (3.5hr Per Day ) of life). If you buy online then a 7W LED will cost you Rs. 375/-, so only Rs. 5/- extra you are paying. Here is the chart. The above costs have been compared on today’s (22/05/2018) price at Flipkart. Comparing LED & CFL Fittings. 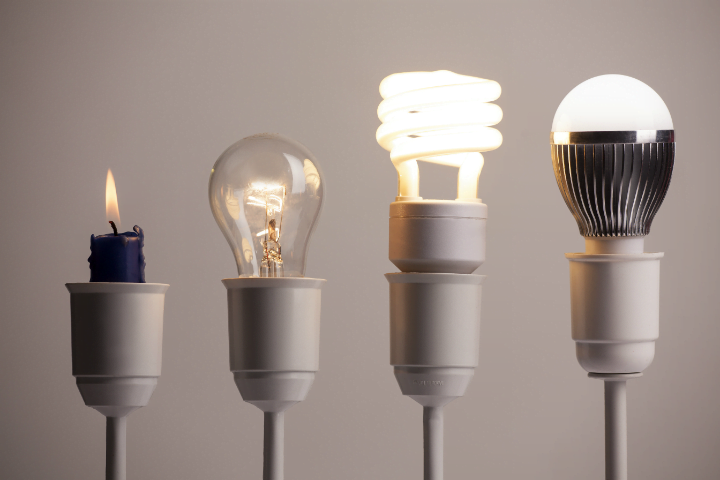 Find the Equivalent Wattage of CFL, LED, and Halogen Bulbs with This Cheat Sheet. Next: Next post: How to access banking services of ICICI Bank on Twitter?